What is the Patriot All-America Golf Tournament? In 2011 a one of a kind event was born – The Patriot All-America Invitational featuring the best of the best in collegiate golf from every NCAA division plus special invitees. 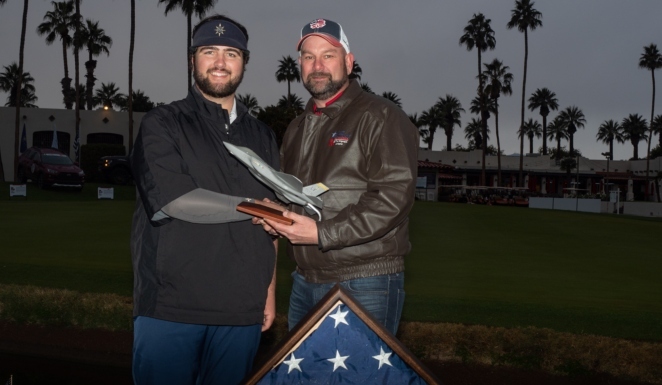 Throughout the 54-hole championship, each participant honored a fallen or severely injured soldier by carrying a bag bearing the name of that individual. This video takes you on the journey of the first five years, the emotional impact of honoring a soldier and the pressures of championship golf. It’s stories like this that make this championship so special to all of us that are involved with it! Amazing young men learning about other amazing young men!